What To Put In A Pet First Aid Kit + How To Get Emergency Help For Your Dog FAST! 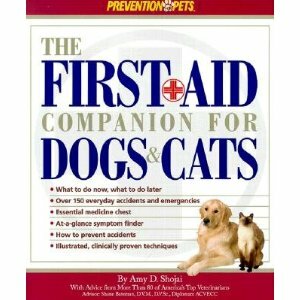 If you’ve got a dog, then you need a pet first aid kit. You don’t have to buy one though. You can make your own! Remember, a first aid kit will most likely be used by you to help your dog in an emergency situation. But… if you should become incapacitated while you’re out with your dog, then the supplies and information in your pet first aid kit will help others to save your life and tend to your dog’s injuries at the same time. That’s why it’s important to include a detailed information card with your dog’s personal info like: birth date, weight, drug allergies, physical limitations, sensitivities, and temperament, as well as your own name, address and phone numbers. Now, onto the specific items that you should keep in your dog’s first aid kit. Emergency phone numbers – for your vet, the Animal Poison Control Center, the 24-hour pet emergency center, etc. CPR instructions – print them out, so you’ll have something to refer to during an emergency. Muzzle– because even the most well-behaved dogs will bite when they’re hurt or scared. You could also use a roll of gauze to muzzle your dog in an emergency. Hydrogen peroxide – it’s useful for cleaning wounds, as well as for to induce vomiting if your dog has swallowed something dangerous. Tweezers – for removing glass, splinters, thorns, etc. from your dog’s paws, removing debris from a wound, and removing ticks from your dog’s body and ears. Flour (or styptic powder) – just a small baggie’s worth, to stop the bleeding from a damaged or torn nail on your dog’s paw. Benadryl – an antihistamine for insect stings and allergic reactions. TIP: Here’s a list of safe human medications — a few of which you might want to put in your pet first aid kit. They could come in handy when you’re traveling, camping, or away from home and your dog gets stung by a bee, gets diarrhea, or something that’s uncomfortable, but not necessarily life-threatening. Antibiotic ointment – for preventing infection. See which human antibiotics are safe for dogs — like Neosporin or Triple Antibiotic Ointment. Eye wash(or Natural Tears) – to flush out debris or liquids that have been sprayed into your dog’s eyes. Gauze– for absorbing fluids from open wounds. Bandage wraps – for covering wounds and keeping the area free of debris. Telfa Pads are popular. 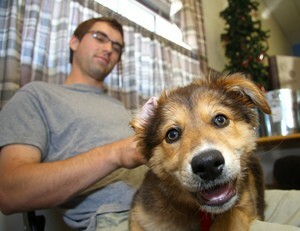 For example, here’s how they’re used to wrap a dog’s hurt ear. Saran wrap– to seal wounds. Bubble wrap – for use as a splint. Baby rectal thermometer – to determine whether your dog is running a fever or not. Here’s how to tell for sure. Towel or blanket– the larger the better, if space isn’t an issue. Large towels and blankets would make it easier to move a hurt dog, small ones are great for cleaning wounds. Spare nylon leash – in case your dog’s own leash gets caught or breaks in an emergency situation. Dog treats – a small vacuum-sealed pack of treats can be used to lure your dog away from danger. If they’re vacuum-sealed, then they’ll smell really strong and get your dog’s attention right away. My favorite are Biljac liver treats — especially the small bags of Little Jacs. Do I Really Have To Include All Those Things? In the end, what you ultimately decide to include in your dog’s first aid kit is completely up to you. Here’s an incredibly inclusive list of things to include in a pet first aid kit — which would be great if you have the space for all of those things. If not, then the bare minimums listed above should suffice. For comparison’s sake, here are the items that a veterinarian recommends keeping in a pet first aid kit. As you can see, there is some overlap. At the same time, it’s clear that there is no single standard list of supplies that should be included in a pet first aid kit. It’s up to you, your pet, the space you have in your dog first aid kit, and the extent to which you want to prepare. For example, if you’ll be away from home for a long time, the you probably want to prepare for just about every emergency under the sun. But if you’ll be close to home (and a vet! ), then you don’t need to go to such lengths.